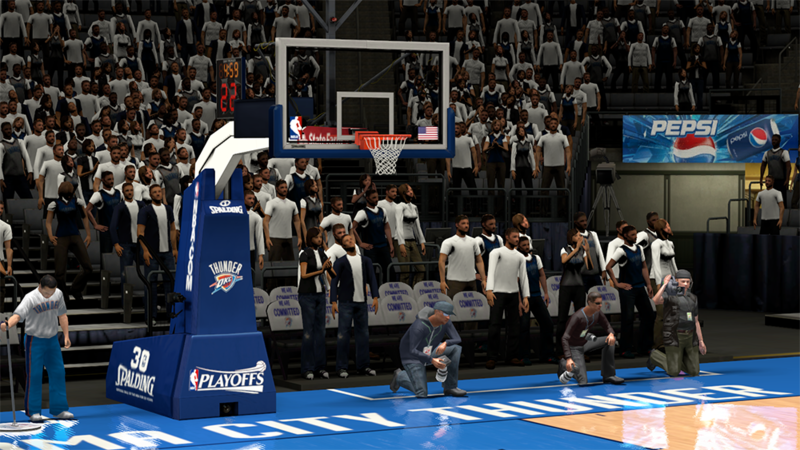 NBA 2K14 playoffs court dornas for the Oklahoma City Thunder. It also includes the Chesapeake Energy Arena mod by Bliss which has playoffs backboard. 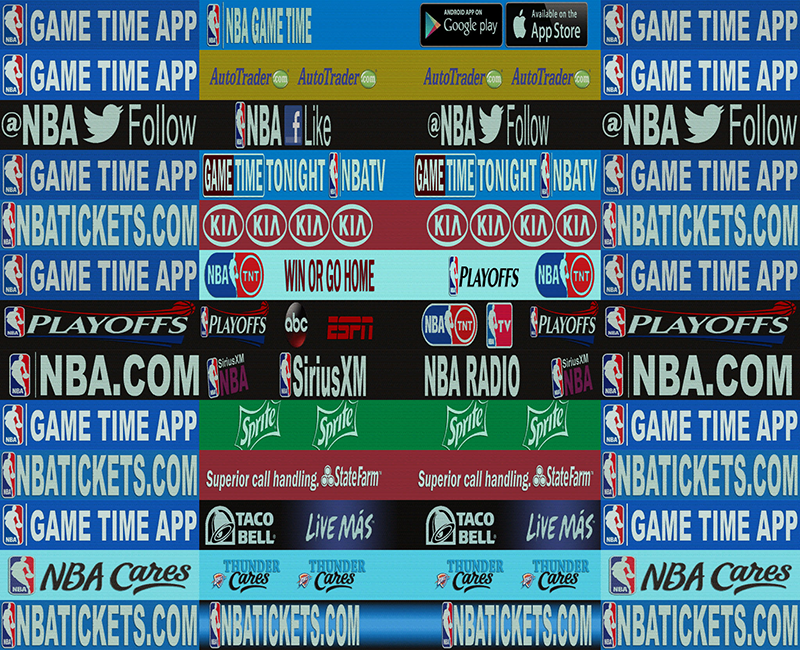 Playoffs backboard - Home team logo at the top and NBA TV/Playoffs/ECF/Finals logo at the bottom.